By now, all metal fans know the story: Agalloch broke up last year, due to a schism between singer/guitarist John Haughm and the rest of the band. Don Anderson, Jason Walton, and Aesop Dekker joined up with Aaron John Gregory (of the late, great Giant Squid) to form Khôrada. 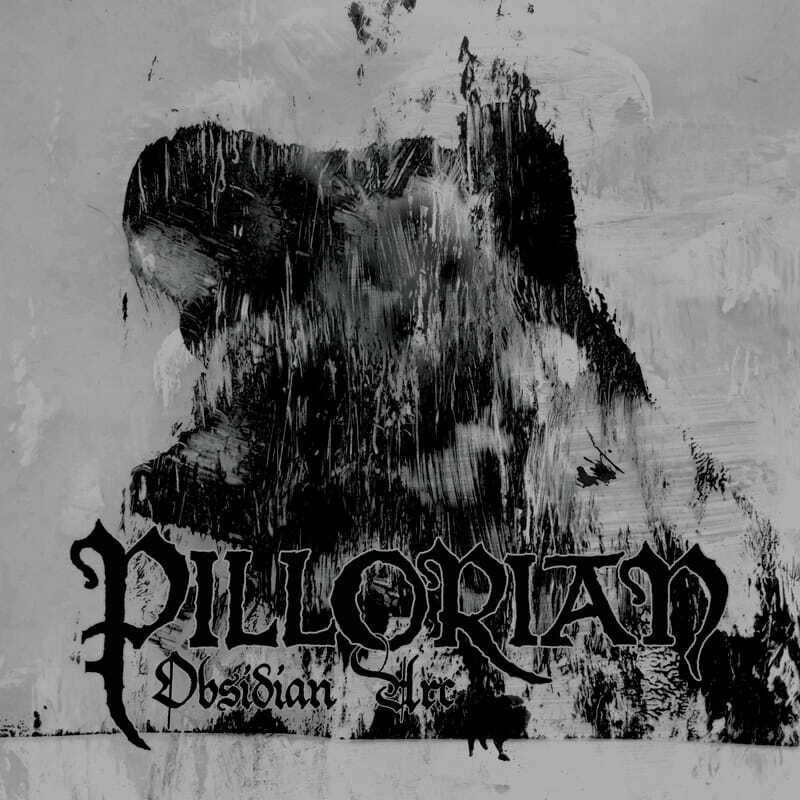 Jon Haughm teamed with drummer Trevor Matthews and guitarist Stephen Parker to create Pillorian - an adjective defined as "of, or relating to, scorn and condemnation." Good thing there's nothing to read too deeply into there. It isn't - well, shouldn't be - a competition between the two bands, but it's naive to think that if one band succeeds while the other flounders, the successful band will be hailed as the victors of the Agalloch break up. 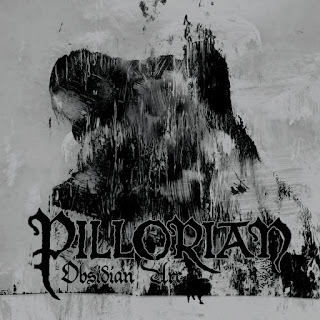 While that is a silly way to look at it, we can finally start the actual conversation: Pillorian's debut album Obsidian Arc was released last Friday. Is it a worthy follow up to one of the most acclaimed American black metal bands of the 21st Century? Or is it merely a celestial effigy of what once was? Obsidian Arc kicks off with "By the Light of a Black Sun," which serves as an immediate litmus test for the listener: there are some differences, but by and large Pillorian travels in the same snowy forests that birthed Agalloch's folky black metal. I've been listening to this record for a week now, and I still can't decide if I'm surprised by this; John Haughm did write or co-write a vast majority of Agalloch's songs, so it makes sense that he'd continue to tap a creative vein he enjoys. Either way, "By the Light of a Black Sun" is a very good song that finds melodies floating over crashing drums and distorted riffs. "Archaen Divinity" begins with a slower, more deliberate pace that's actually pretty cool, before moving into a more expected black metal trope. "The Vestige of Thorns" is where Obsidian Arc makes the leap from solid to great, a ripping black metal track, with an infectious guitar riff and Haughm's killer howls. The song absolutely drips with menace and desperation, and at its most intense moments, it seriously feels like the band is going over the edge, descending into madness. It's an irrefutably powerful track, and when it moves past the clean vocals into a melodic guitar outro, it feels like an earned rests. "Forged Iron Crucible" and "The Stygian Pyre" continue the intensity, chiefly forgoing overt melodies to stick tight to pretty straightforward black metal, a decision that ultimately pays off. The straightforward intensity of the middle three tracks unfortunately leave the final two tracks - while still very good - to be lacking a bit. "The Sentient Arcanum" is an instrumental interlude that is very pretty to hear, while "Dark is the River of Man" is a classic John Haughm "ballad;" his clean singing over music that would seem to fit harsh vocals. Both of these songs are terrific, but the departure from the manic energy of "The Vestige of Thorns" leaves Obsidian Arc's denouement feeling just a little less than whole. It is perhaps unfair and unfortunate that because of the nature of the Agalloch breakup, the music of Pillorian and Khôrada will - at least initially - be linked and compared. In time, as the band's amass their own discographies and fan bases, that feeling will fade, and we'll stop looking at each bands releases like a tennis match, back and forth to see who wins the point. But that's a mature reaction for later; this is merely the first serve, and in the battle of ex-Agallochers, John Haughm has hit an ace. Obsidian Arc is a dark, searing, absolutely fantastic album, and Haughm's vocals - vengeful and angry like never before - are a big part of that. While his "visionary" comment may have rubbed people (myself included) the wrong way, Obsidian Arc and Pillorian certainly prove that Jon Haughm is a creative force to be reckoned with in the world of metal, and leads to a wonderful, intriguing possibility: if Khôrada can match the quality of Obsidian Arc, and the bands continue to put out music, then the death of Agalloch could lead to twice as much high-quality music being put into the world. That's a happy ending for everyone, at least until the inevitable festival reunion tour.